Kandy is mostly a Buddhist city, so it’s the kind of place to spend Christmas in if you are trying to get away from a snowy wonderland. While there are some Christmas decorations around, you won’t find an overwhelming amount in Kandy. Keep reading to find out how you can spend Christmas Eve in Kandy – including where you can attend a Christmas Eve Midnight Service. This man-made lake in the middle of town has a great sidewalk around it. Walking along Kandy Lake will give you a nice perspective of the city, including great views of the Temple of the Tooth from the other side of the lake. Set aside a couple of hours for this walk and take lots of photos for your Instagram! The best coffee in Kandy comes from the tiny, Japanese-owned Natural Coffee located next to the main entrance of the Temple of the Tooth. Their corn and cheese sandwich is delicious and so is the coffee, served in pretty glass and metal cups. This place is tiny and fills up fast but it’s totally worth it – even if you have to share a common table downstairs. 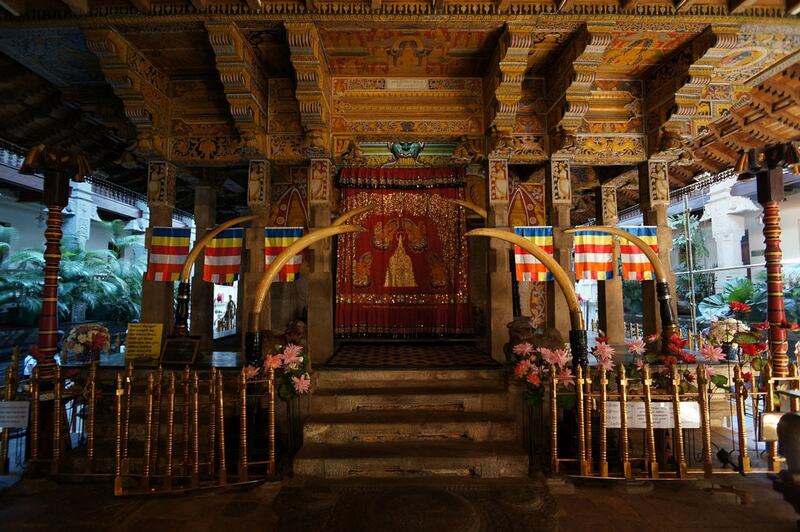 The Temple of the Tooth in Kandy is home to a Buddha tooth relic. The temple, built in its honour, is a beautiful example of Buddhist architecture as it is filled with Buddha statues, decorations, elephant tusks and Buddhist flags. Take a few hours to really discover this place’s nooks and crannies. 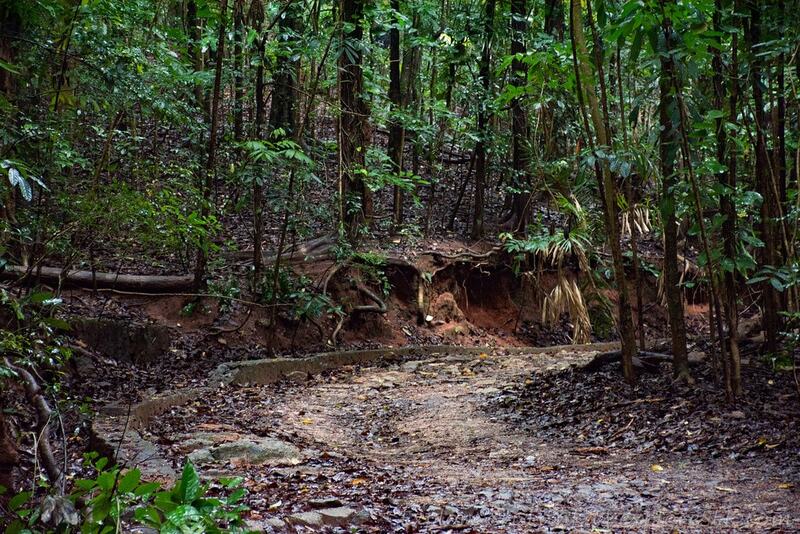 Only a couple of kilometres from the centre of town is the Udawatta Kele Sanctuary. Walk among the trees and breathe in some fresh air. A couple of hours along the paths will make your Christmas Eve that much more special. The Royal Botanical Gardens are a beautiful spread of native trees and gardens where you can spend a few hours of peace. 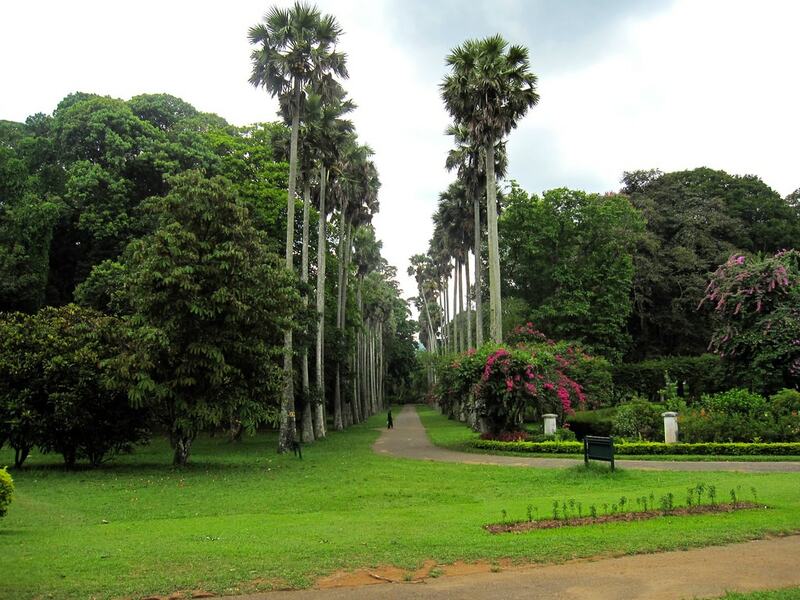 The Udawatta Kele Sanctuary and the Botanical Gardens are both ideal places for a walk but also very different from each other. The Golden Crown Hotel in Kandy hosts a Christmas Gala Dinner with a visit from Santa Claus, an international buffet, gifts for everyone and live entertainment. This event is for those who want to experience a typical Sri Lankan Christmas and admire the beautiful sarees that Kandyan ladies wear. Call the Golden Crown for more information if this is where you would like to spend the night as well! OZO Kandy is the best rooftop hangout in Kandy. Take an afternoon dip in their pool complete with a colourful mural backdrop and surrounded by mountains on both sides. Have a drink or two and stay for dinner! Their restaurant, EAT, will be serving a Christmas dinner for guests and visitors alike, so make sure you make a reservation. After dinner, you are invited to attend a Midnight Service at the Trinity College Chapel in Kandy. Starting at 11 pm, service is open to everyone who would like to join. Midnight Mass is a special kind of celebration that many Christians hold dear. If this is one of your traditions, you won’t have to miss out if spending Christmas Eve in Kandy.